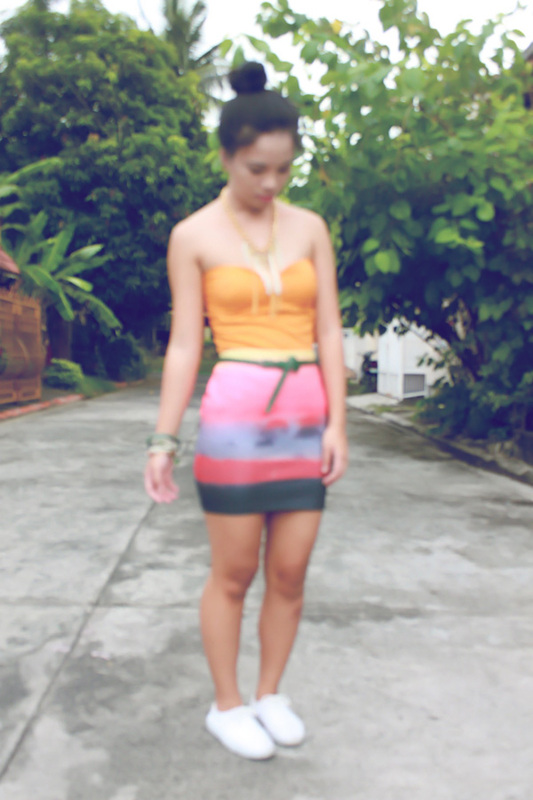 spilled watercolor on my skirt! Of course I had to cover up for my daytime look. I wasn't really aiming to be all dressed up during the day, so I just threw on the hoodie you see above. 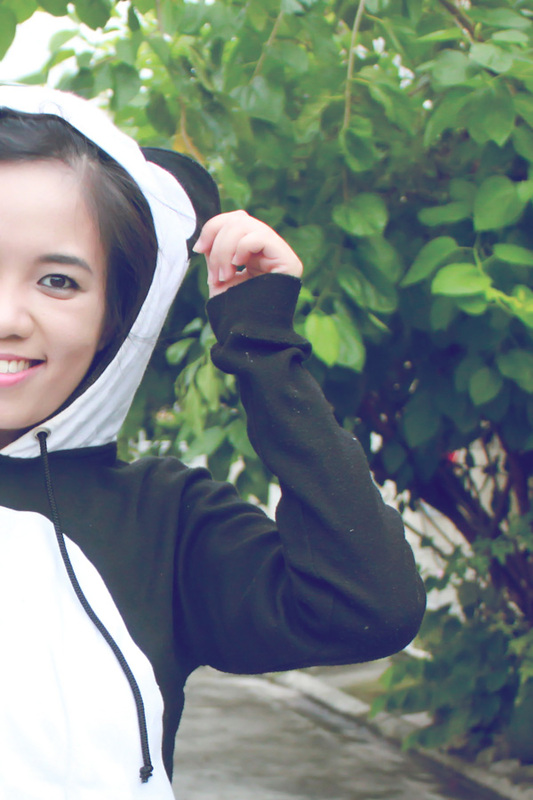 It's a panda hoodie from Happy Hoodies. Anyone familiar with Kung Fu Panda? I love that movie! And I love pandas too! I ended up skipping the fashion show though, but the outfit was no waste as I met up with some blogger friends after work and had dinner and drinks at Izumi. Thanks, Angel, for the treat! Also glad I skipped out on bringing heels that day since I didn't need them after all. You can check out the photos from my evening in this post. I loved playing up with colors in this look. 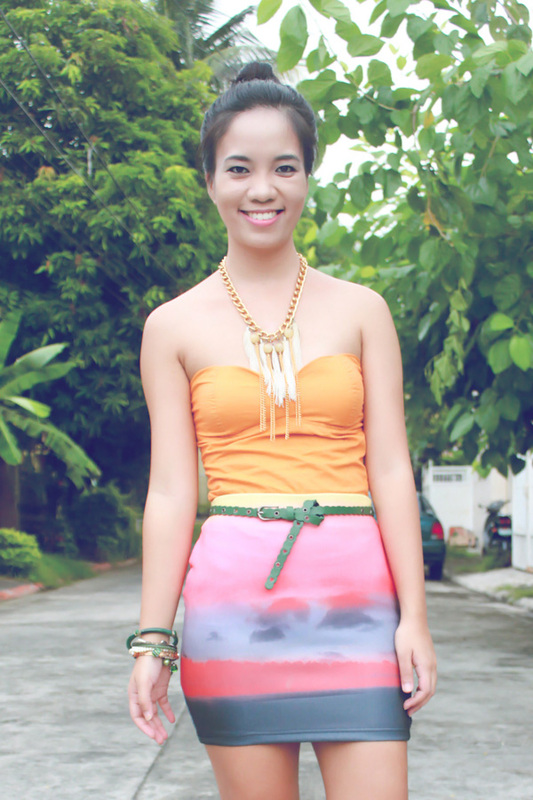 I thought the skirt would be tricky to style, but after wearing it this one i1, I already have other ideas for it in mind! Watch out for another video coming up. I'll be giving away a few things you might like! 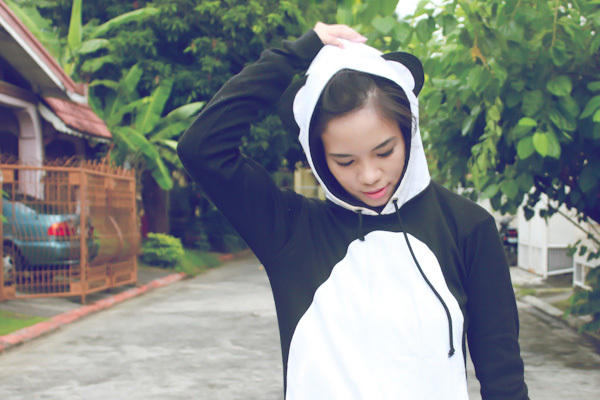 You're a panda! So cute!